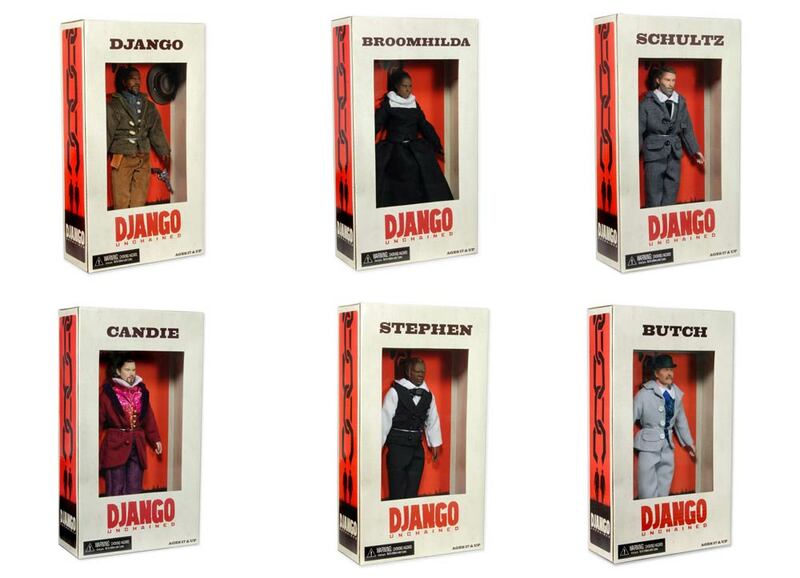 Available Now: Django Unchained Classic 8″ Action Figures! 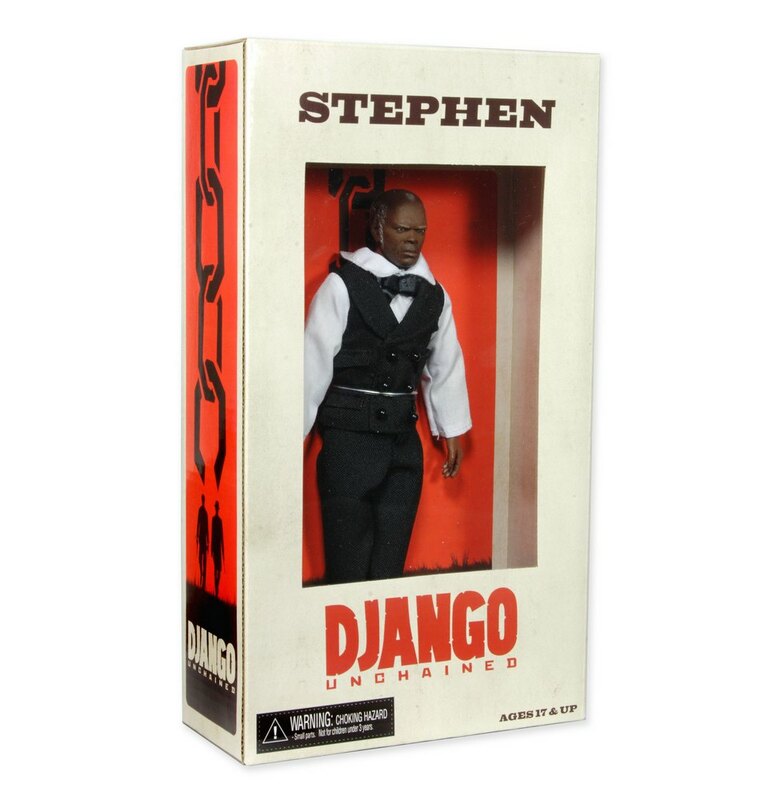 You are here: NECAOnline.com » Blog » News And Announcements » Available Now: Django Unchained Classic 8″ Action Figures! Attention all lovers of classic action figures! 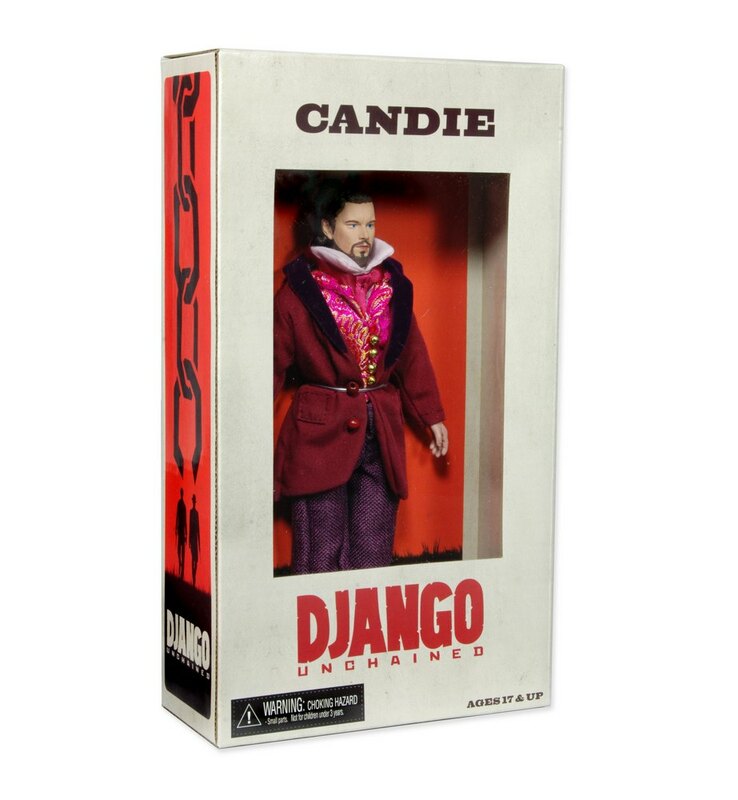 Django Unchained Series 1 is out now! Django Unchained hits theaters Christmas Day, and it just wouldn’t be Quentin Tarantino if there wasn’t some love for the ’70s involved. 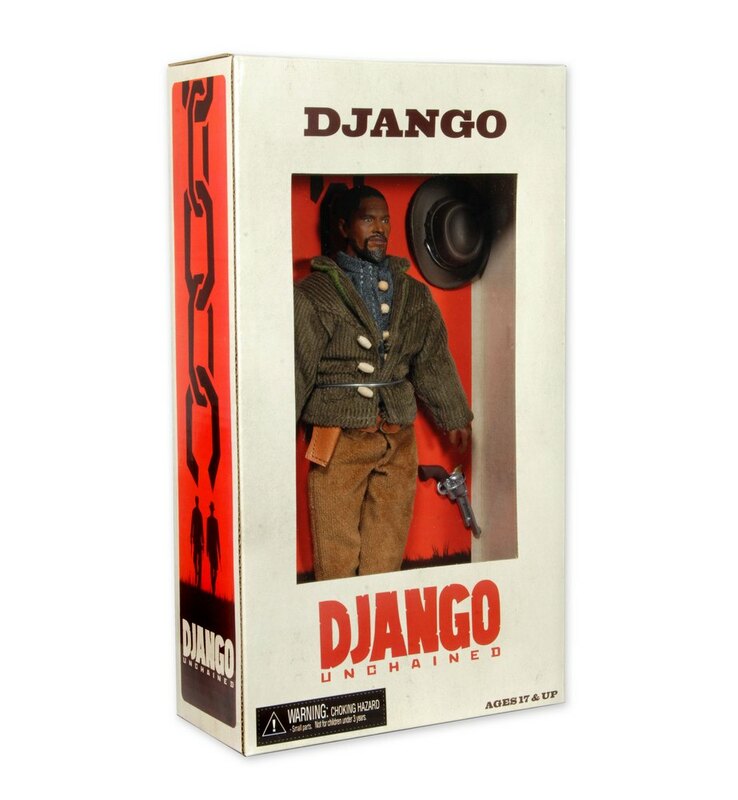 True to the vibe of the film and to Tarantino’s aesthetic, our new Django Unchained action figures are classics in the truest sense — cloth clothing, window box packages, larger scale — and still they keep the level of movie-accurate detail you’ve come to know, love and expect from NECA. 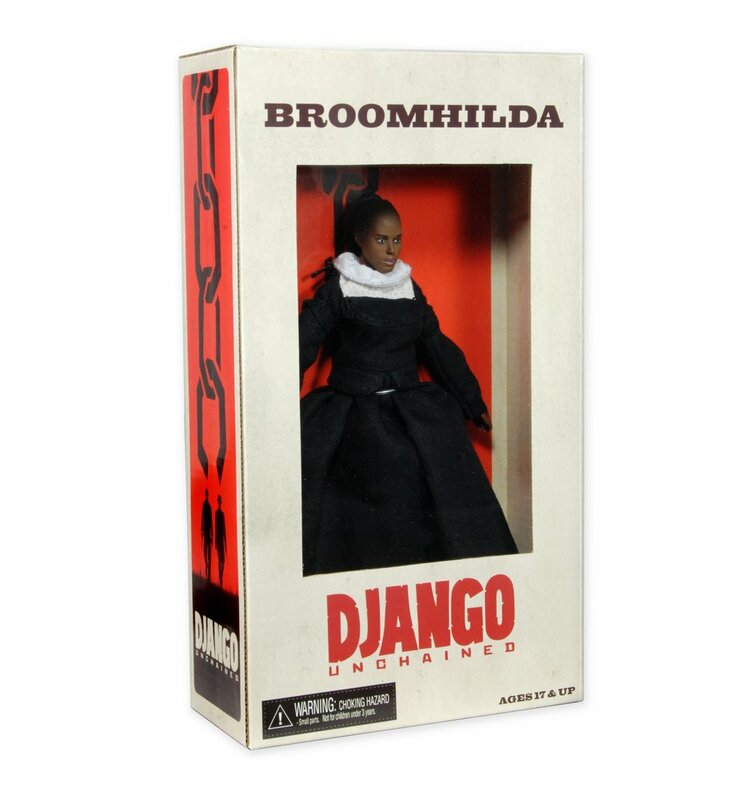 As we said when we first announced the partnership with Django Unchained, we couldn’t be more thrilled to be producing these figures, and now that they’re ready, we think they came out great! 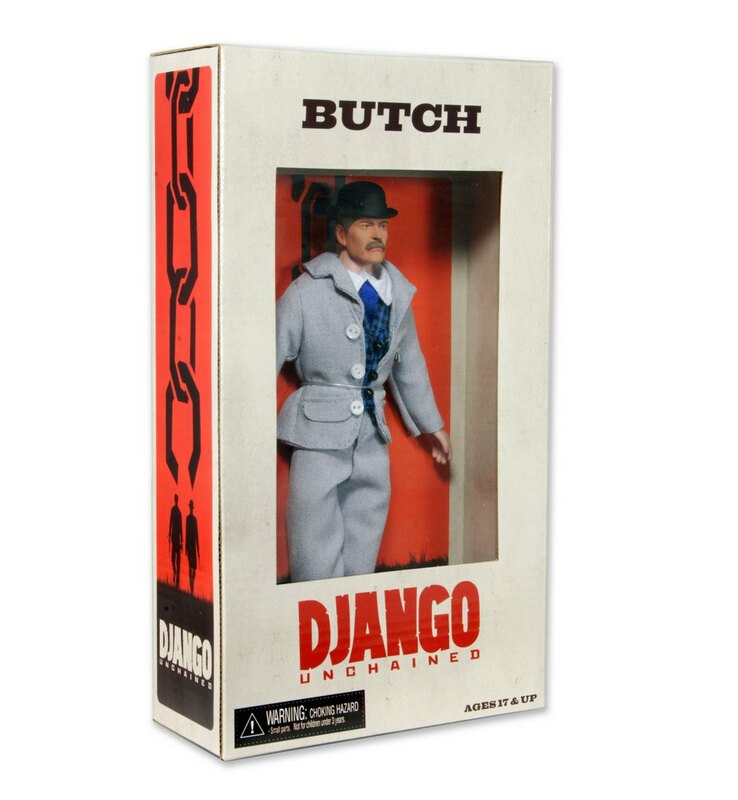 Django Unchained Series 1 makes a great holiday gift for the Tarantino fan in your life, or maybe anyone who just appreciates their retro look and feel. Who doesn’t love a classic? 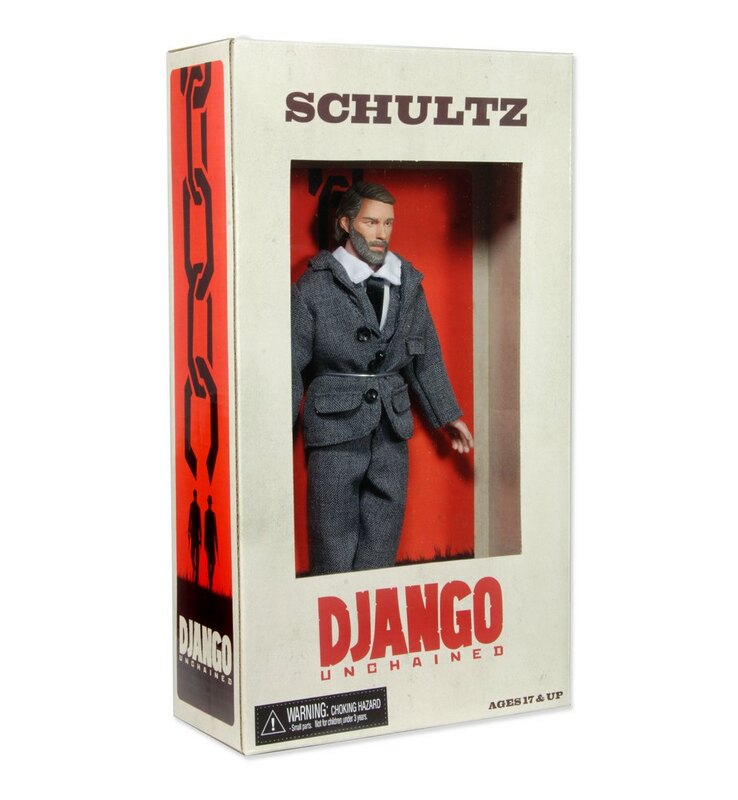 Love old-timey figures or want to know more about future products from Django Unchained? Get in touch on Facebook, Twitter or Google+!